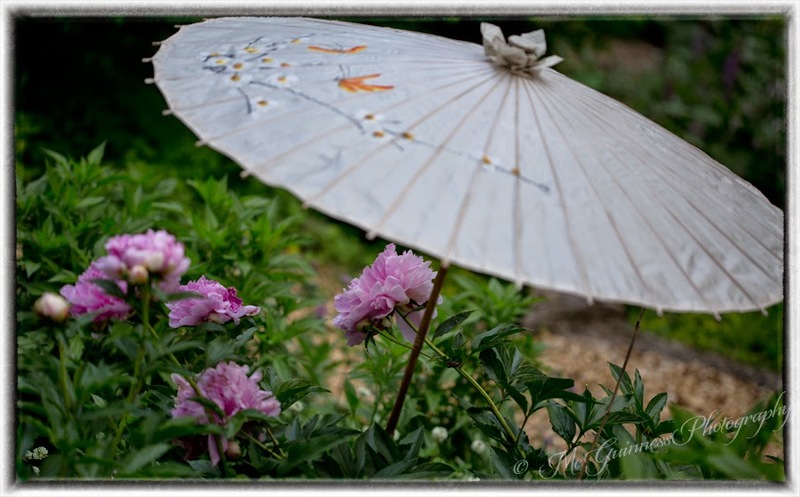 Sturdy umbrellas shelter peony blooms from sun and rain. THOMASTON, Conn. - You won't find Sarah Bernhardt at Cricket Hill Garden. 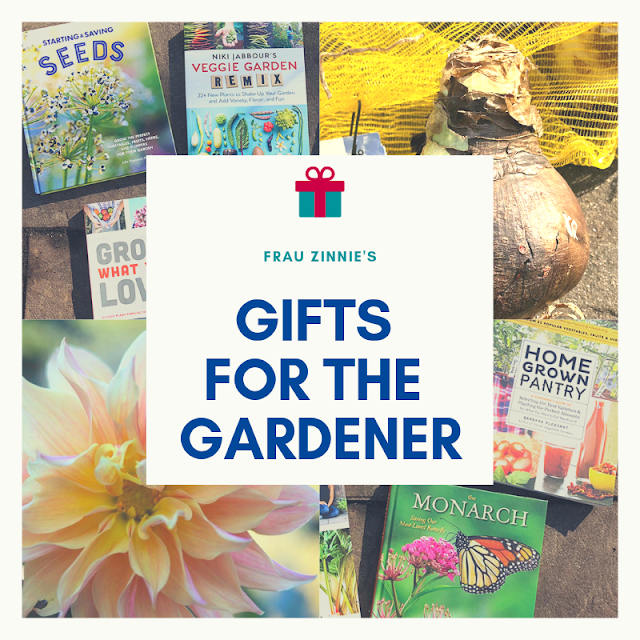 Instead, what you will find is a collection of cultivated plants that are prized for their multicolor, and unusual colors. "We're not going to do the same old white, pink peony," said Kasha Furman, owner of Cricket Hill Garden. 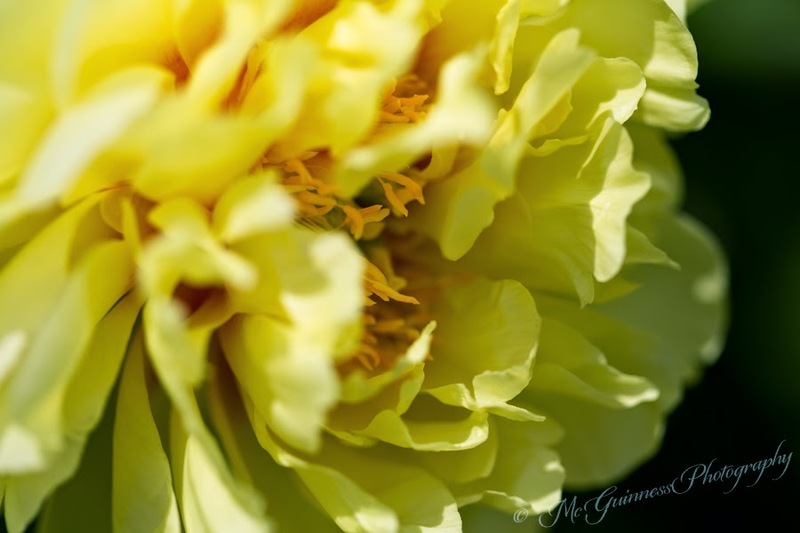 "We've been growing peonies for more than 25 years," she said. Over the years, Furman and her family have grown hundreds of varieties and rejected many that have not met their standards. For example, you won't find a tree peony that is too slow to grow or will hide its flower inside the foliage. They also won't carry herbaceous peonies that have weak stems (ahem, Ms. Bernhardt, you're beautiful, but we are talking to you). "Don't waste your time on things that are too slow growing. We've rejected many peonies that need staking," she said. 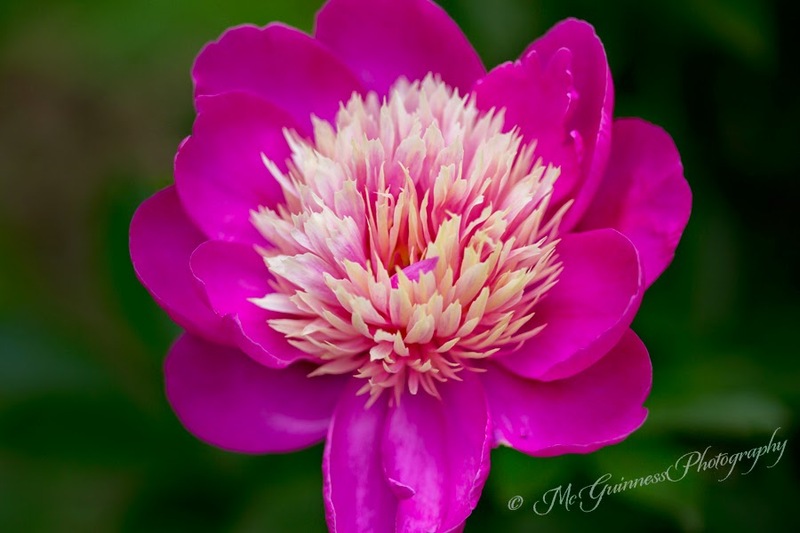 To maximize peony bloom to a five- to six- week window involves growing tree, herbaceous and intersectional peonies. "You can have blooms from mid-April through the third week of June in most climates," she said. 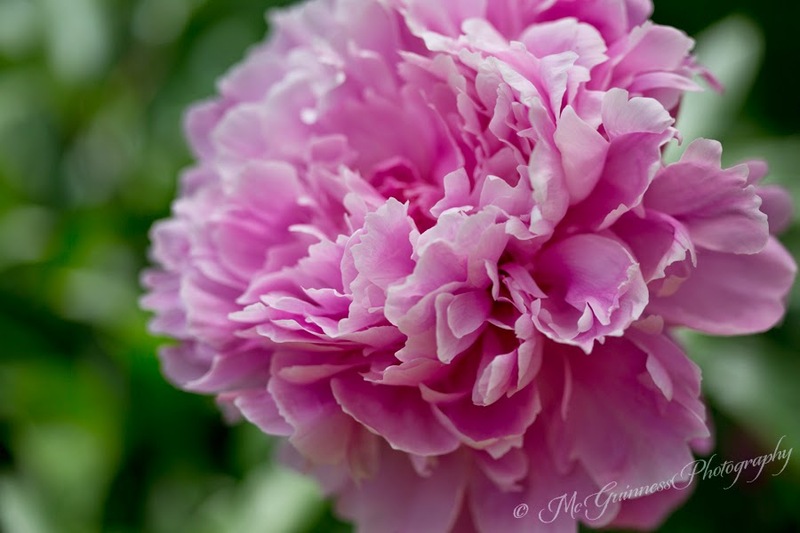 "We specialize in peonies because they are such hardy plants and long-lived." Cricket Hill Garden are organic growers and do not use herbicides. "We work with cover crops to improve the soil." Clover is one crop that is used extensively in the seven acres of terraced gardens. Her favorite? "Tree peonies - they are more exotic and they are big." 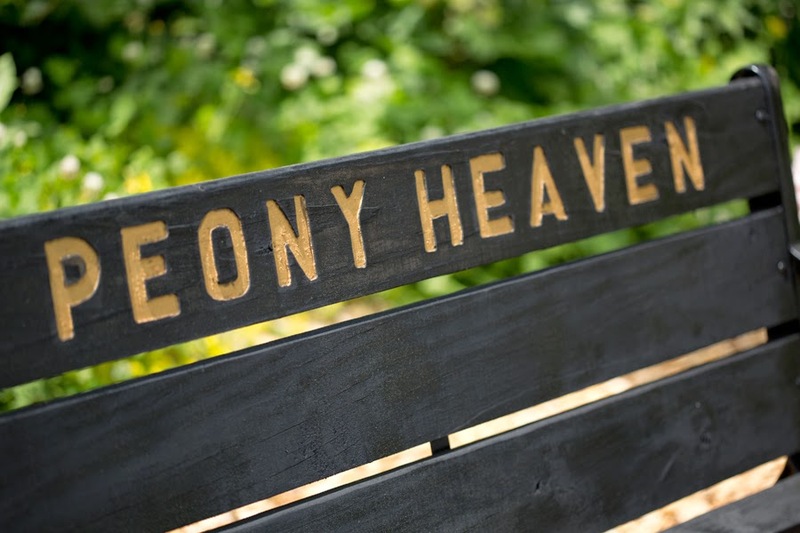 A bench at Cricket Hill Garden. 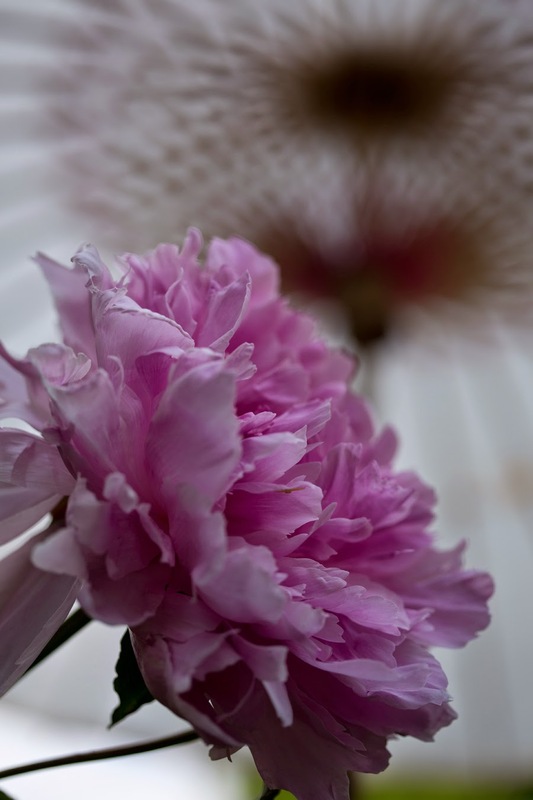 Cricket Hill Garden offers three different varieties of peonies to customers: tree, herbaceous and intersectional. Herbaceous are the most common peonies found in gardens, often inherited from family members. Grown in USDA zones 3-8, these peonies bloom from early to mid-spring. In the fall, the plant dies back to the ground. Maiden's Dress is a pink herbaceous peony with 5-6 inch flowers. A tree peony is a woody shrub that blooms in mid- to late spring. "They lose their leaves like an oak tree," said Furman. While herbacous peonies die back at winter time, with tree peonies the wood remains. "They're their own special animal," she said. "They are early blooming and can grow in partial shade." For best flowering, aim to give tree peonies 5-6 hours of sun a day. Flying Swallow in a Red Dress has huge 8 inch silver red flowers. Intersectional peonies are hybrids between tree peonies and herbaceous peonies. It is difficult to cross the two, which adds to their value. "They took pollen of a tree peony and combined it with herbaceous. The seed became the first intersectional," Furman said. Intersectional peonies are known for their vibrant color palettes with leaves and flowers that resemble tree peonies. Their growth habit is similar to herbaceous peonies but do not require support. After frost in the fall, intersectional peonies are cut back to ground level. They bloom in early June at Cricket Hill Garden (USDA zone 6a). 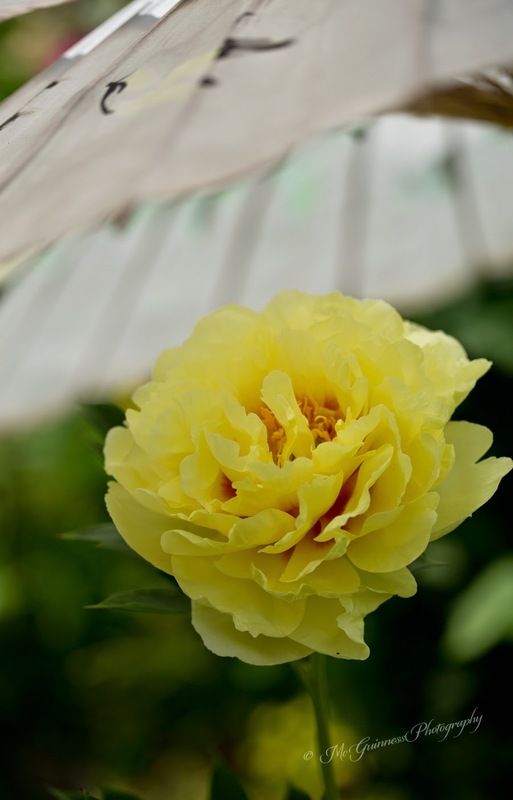 Bartzella is a yellow intersectional peony that is a strong grower with 7-9 inch semi-double flowers with a light lemon scent. I visited during the last week of "Peony Heaven," as Cricket Hill Garden refers to it. It is worth the drive to be able to walk, admire and envision how the flowers would look in your garden. I'm already marking my calendar for the next year to go back when the tree peonies are in bloom, which is the beginning of May. 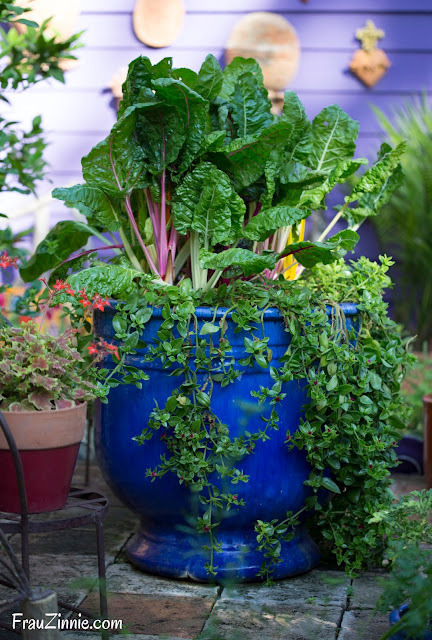 With the addition of Kasha's son Dan to the business, Cricket Hill has expanded their plant offerings to also include edible plants for sale. "He's growing all sorts of unusual trees," she said. Dan took time to share with me the edible plants Cricket Hill is beginning to offer and hoping to offer in the future. Check out the next blog post to learn more! 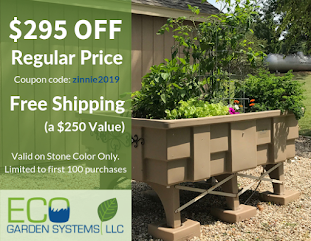 To learn more about Cricket Hill Garden or for more information on peony care, visit their blog here.